2015-01-28: Matching overrides for the “Sloop” bar are now available here. 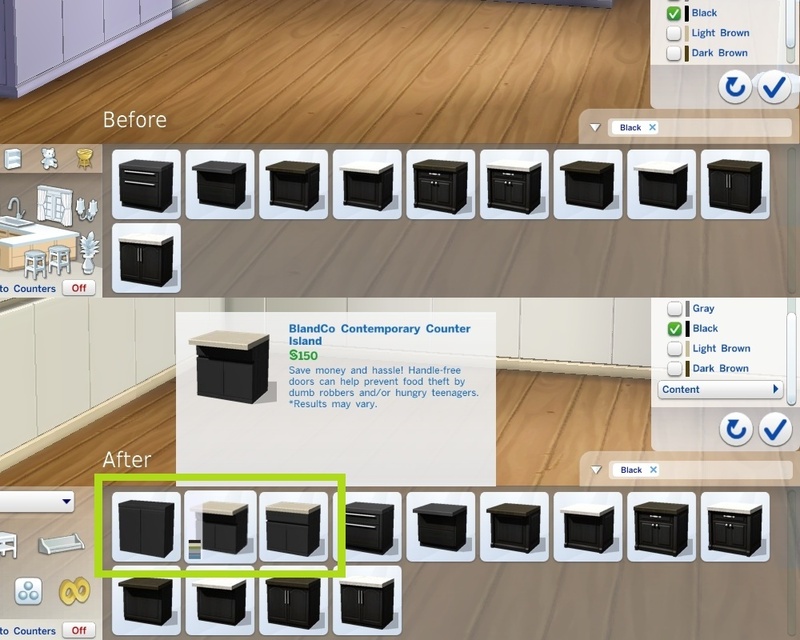 Update 2014-12-21: I figured out how to make the no-drop cabinets repeatedly placeable (like the original ones – so that they don't need to be reselected from the catalogue after placing each one) and updated the zips. 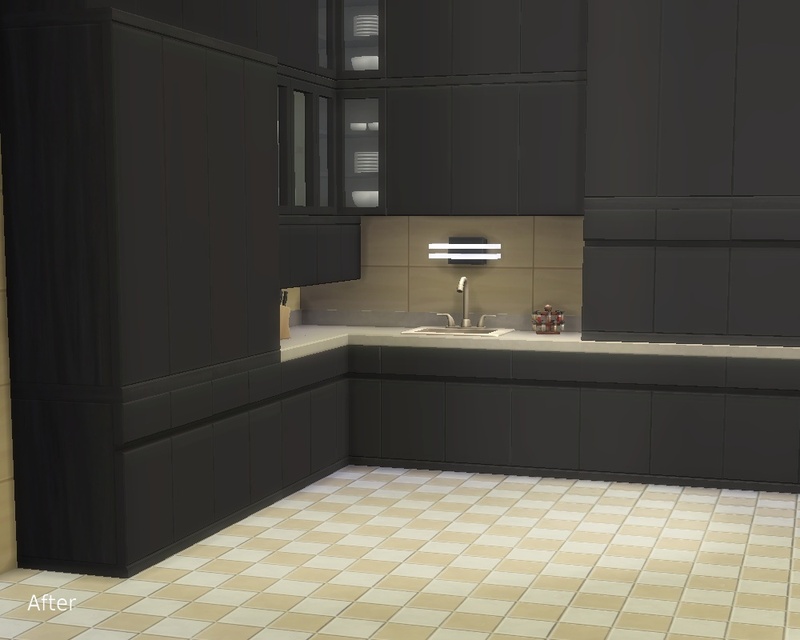 I used to think the busted lighting on the Maxis kitchens was just due to my lame graphics card, but judging from other people's screenshots, it isn't. 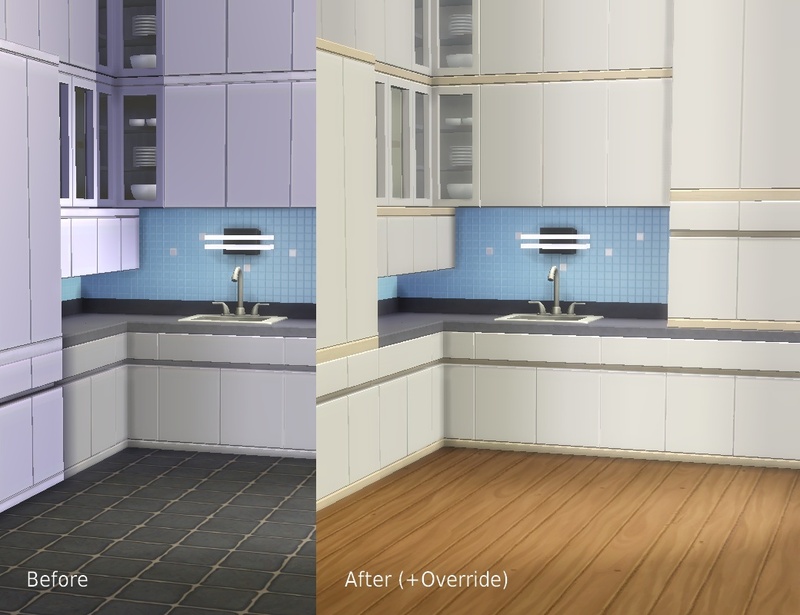 Attached are two zips that correct various issues: one includes the overrides, the other one doesn't (in case you like that pink kitchen), apart from that they're the same. Only use one or you will likely end up with wrong catalogue swatches. 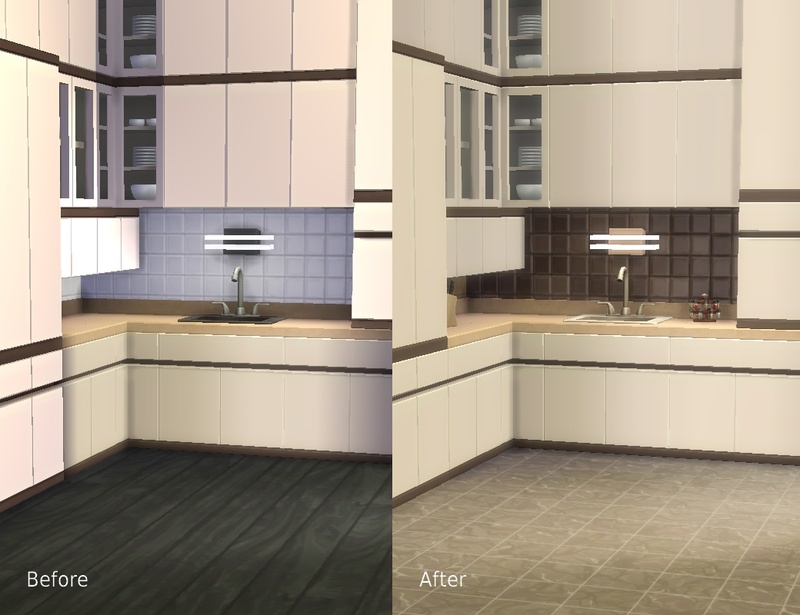 I only tested / used this on Medium and High settings since my hardware won't support anything more, but since the changed shader is already in use in the game and I don't know of any problems with counters, I don't expect any real issues. 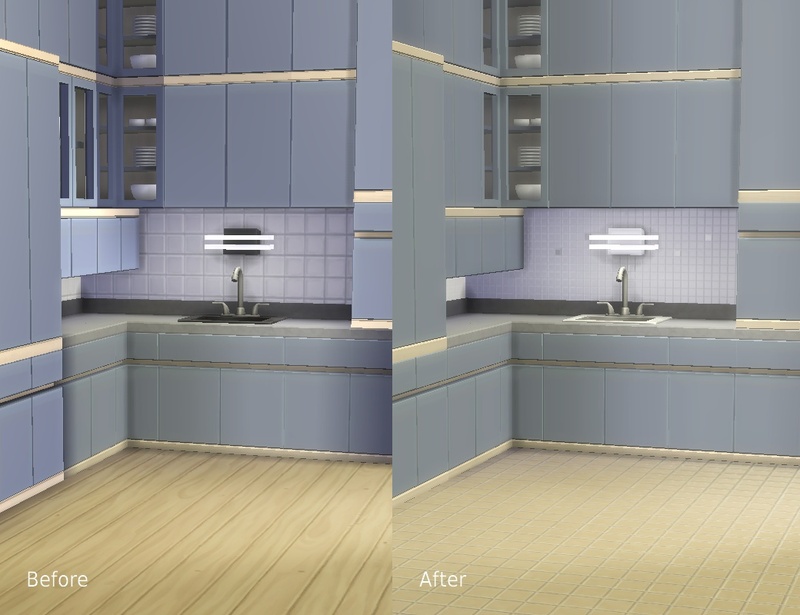 A thread on how to change the shaders used for custom objects has been started here. 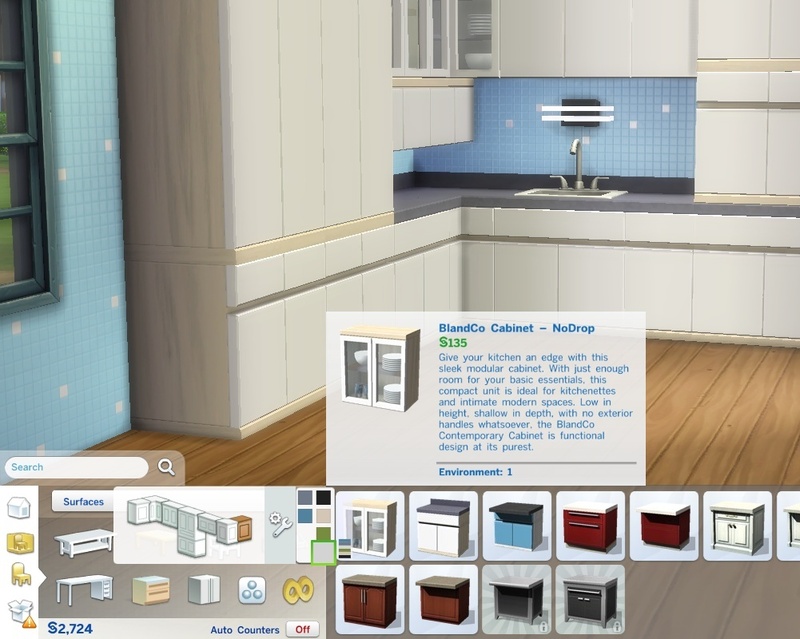 Puts a version of all cabinets in the Counters section that won't drop with walls so they won't leave strange holes when viewed from the backside. 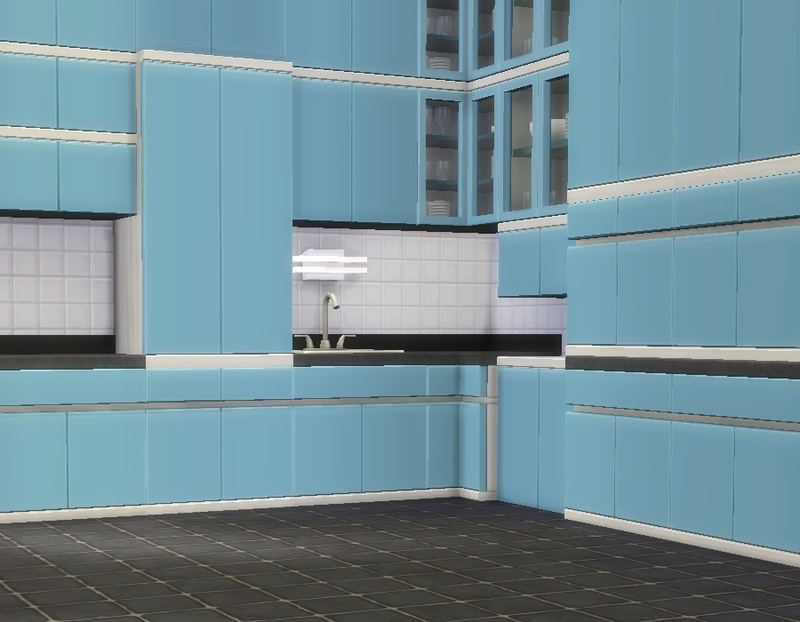 This makes them into very versatile, appropriately bland furniture for all kinds of offices, hospitals, space stations etc. 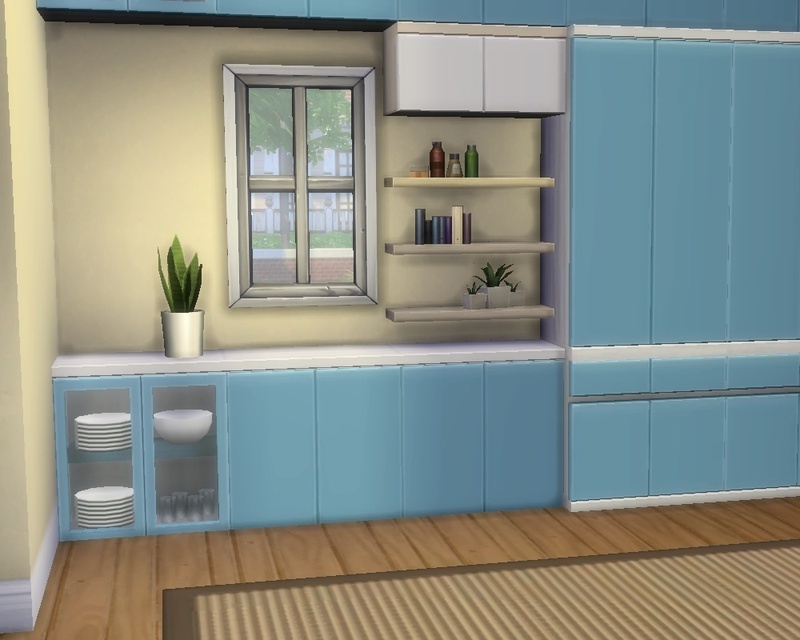 They work exactly like the regular cabinets apart from that, with the pop-up model selection and all (they are the same objects, this mod is basically an alias that only changes the placement flag). 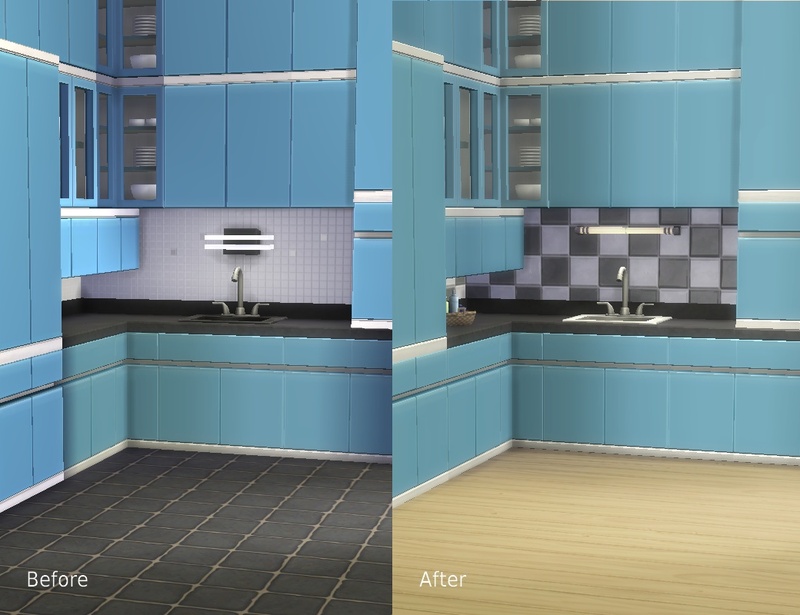 Since they aren't self-contained objects like they pretend to be, you will get the usual "Script Call Failed" error when attempting to recolour them. 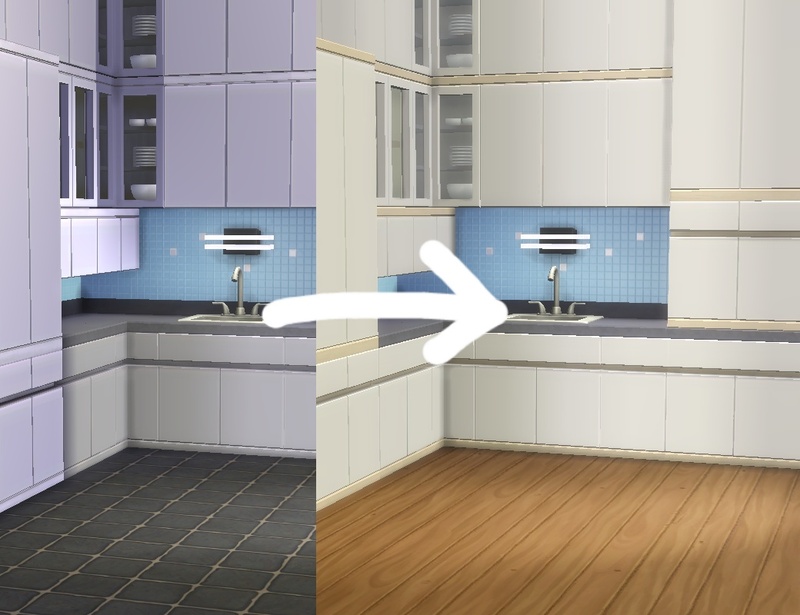 I can't turn off the recolour thing unfortunately (that's derived from the fact they have color options (which they must have, otherwise one couldn't select them)). 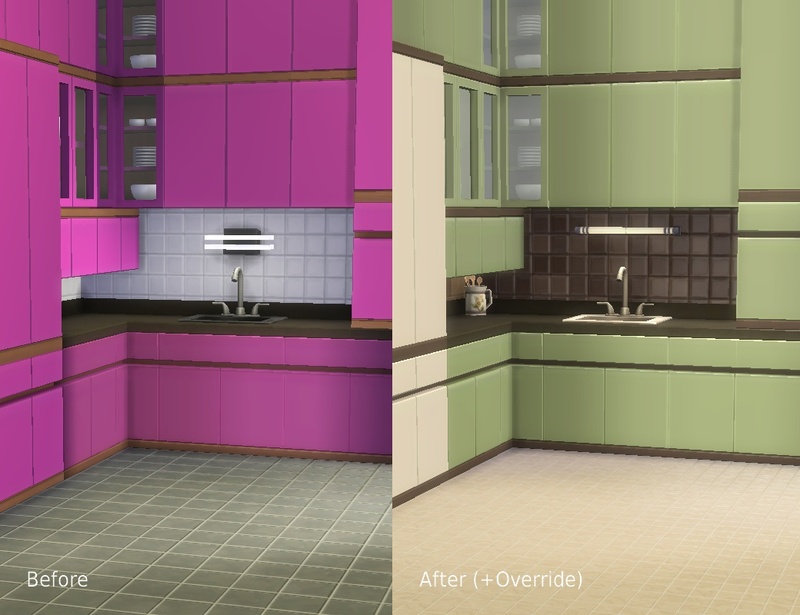 Texture/catalogue overrides for the light grey version (white) and the pink version (tasteful avocado green). 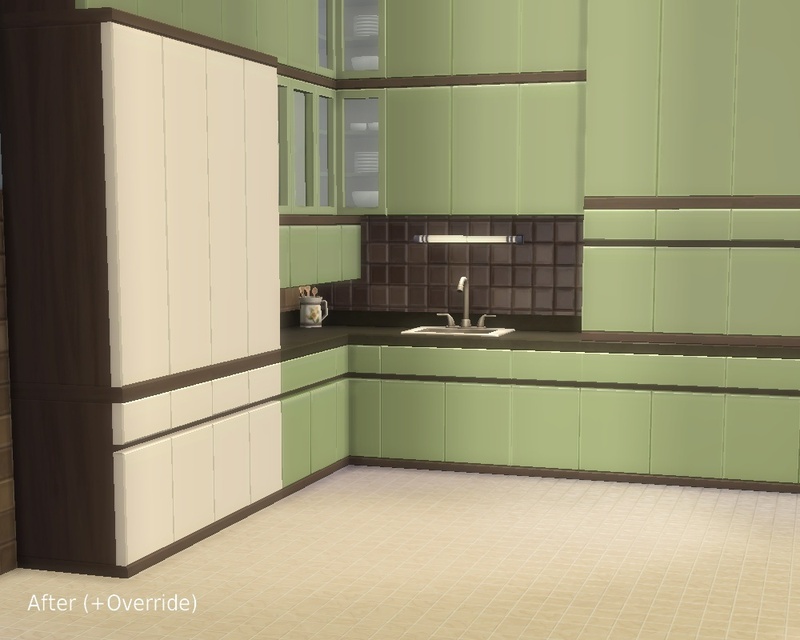 The white has the same light wood as the grey-blue one, the green has the same dark wood as the cream one, so they can easily be combined. 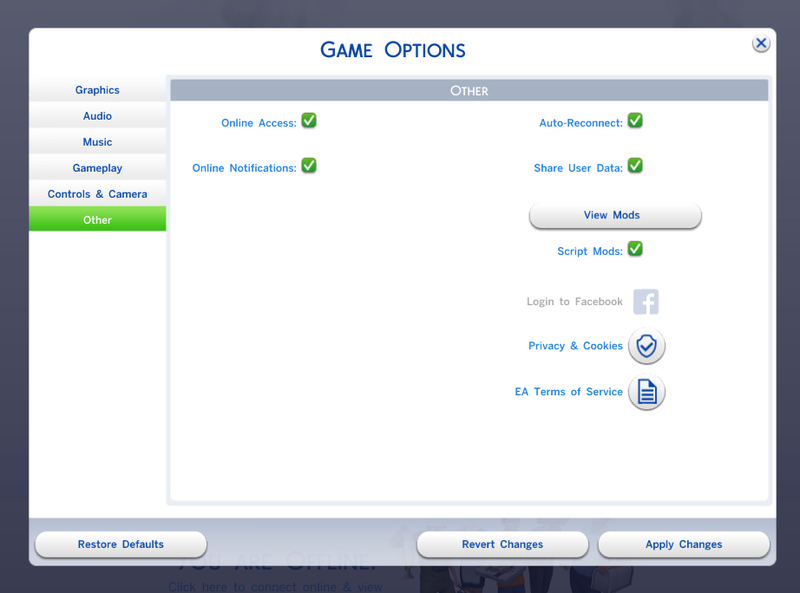 Both overrides are for the island counters too, I only forgot to take screenshots of them. 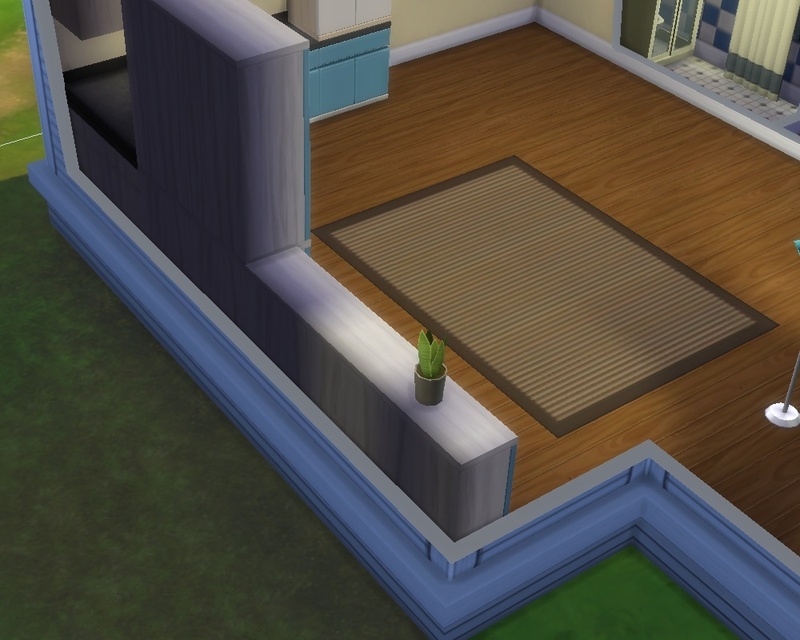 You need to delete your localthumbscache.package for the game to generate new thumbnails.